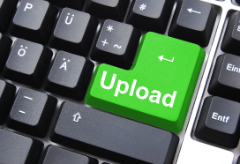 The EU's plans to modernize copyright law in Europe are moving ahead. The Legal Affairs Committee of the Parliament (JURI) just adopted several proposals, including the controversial "upload filters." Pirate Party MEP Julia Reda is disappointed but notes that the fight is not over yet. Through a series of new proposals, the European Commission is working hard to modernize EU copyright law. These plans have not been without controversy. In particular, Article 13 of the proposed Copyright Directive has been widely criticized as it would pressure online services to monitor and filter uploaded content. The article states (full text) that online services are liable for any uploaded content unless they take “effective and proportionate” action to prevent copyright infringements, as identified by copyright holders. That also includes preventing allegedly infringing files from being reuploaded, which implies some form of hash filtering and continuous monitoring of all user uploads. That said, there are several exceptions and limitations, as highlighted here. Today, the Legal Affairs Committee of the Parliament (JURI) voted on the issue. With a 15 to 10 majority, the Article 13 proposal of Rapporteur Voss was adopted. This means that the plans move ahead in their current form, despite massive public outcry. Over the past year, we have repeatedly covered the widespread opposition. Legal scholars, digital activists, politicians, all worried that the upload restrictions would violate the rights of regular Internet users. In recent weeks, the wave of protests swelled. More prominent figures sounded the alarm bell, including Internet pioneer Vint Cerf, World Wide Web inventor Tim Berners-Lee, the Internet Archive’s Brewster Kahle, and Jimmy Wales from Wikipedia. The campaign was picked up by the public as well. Roughly 320,000 people have signed petitions urging lawmakers to reject the plans and over the last week more than 50,000 tweets went up mentioning the #SaveYourInternet hashtag. In addition to Article 13, there was also considerable pushback against Article 11, which is regularly referred to as the “link tax.” This proposal was accepted as well, with a 13 to 12 majority. Now that the proposal has passed the Committee the plans will move to plenary before progressing towards the final vote on copyright reform next spring. It also means that they are now much harder to stop or change. That has been done before, such as with ACTA, but achieving that type of momentum will be a tough challenge. Pirate Party MEP Julia Reda, who suggested alternatives to the controversial proposals, is disappointed with the outcome. However, she’s not giving up yet. “These measures will break the internet. People will run into trouble doing everyday things like discussing the news and expressing themselves online. Locking down our freedom to participate to serve the special interests of large media companies is unacceptable,” Reda says.